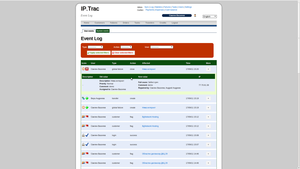 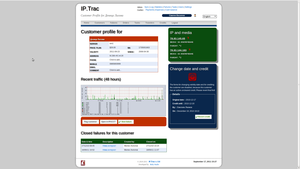 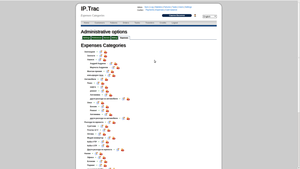 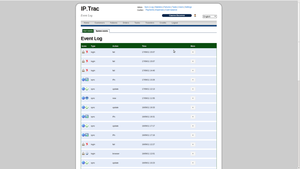 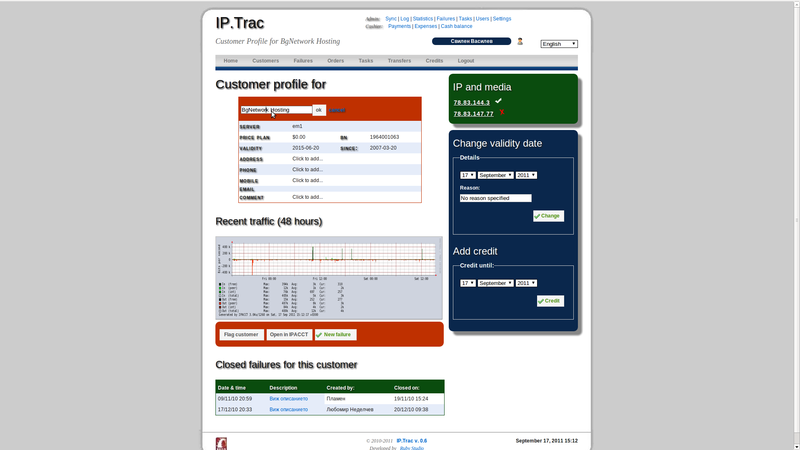 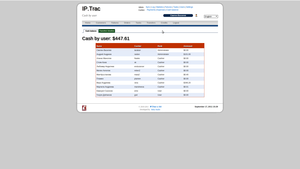 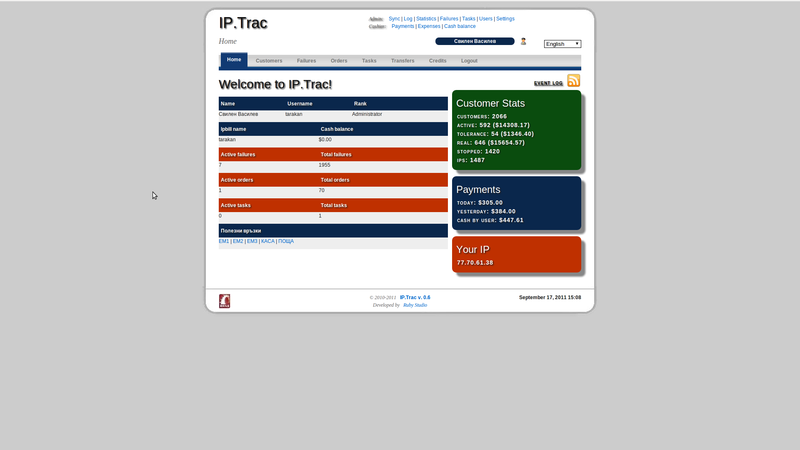 IPTRAC is web application that provides a centralized management and support dashboard for ISPs using IPACCT and IPBILL for traffic shaping and customer accounting. 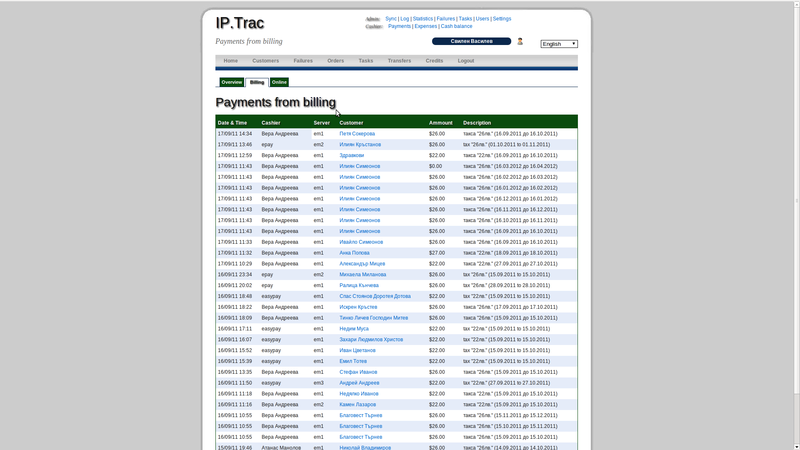 It aggregates the data from all your ipacct / ipbill servers and lets you manage your customers, employees, finances, issues and tasks in an easy and intuitive way. 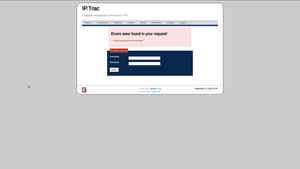 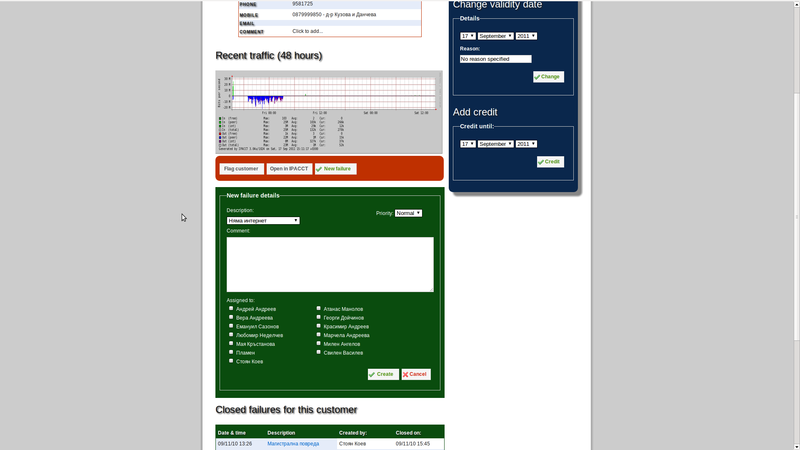 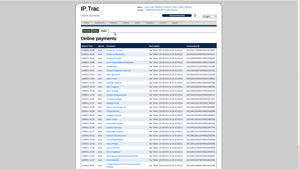 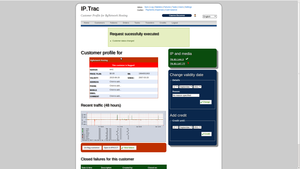 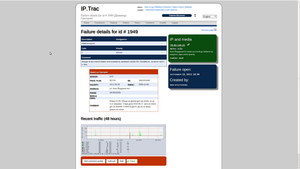 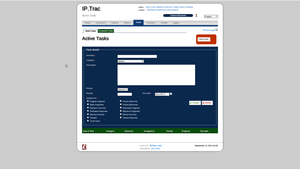 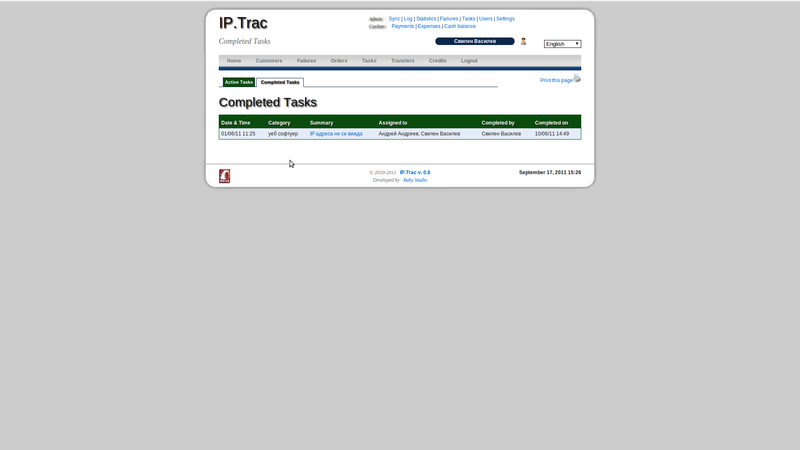 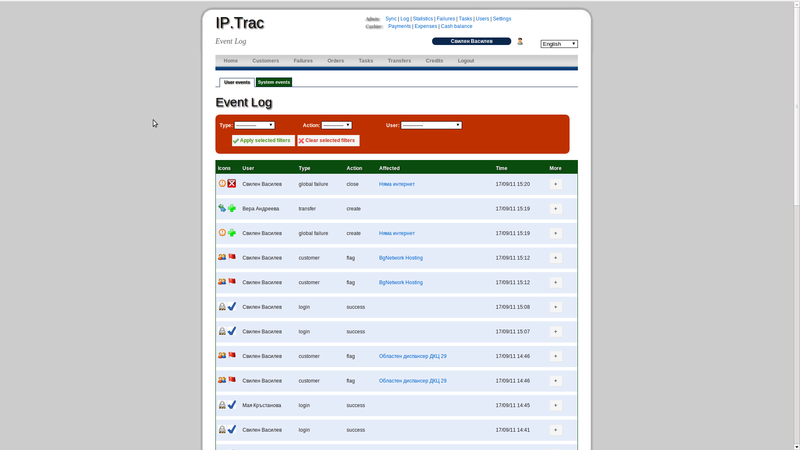 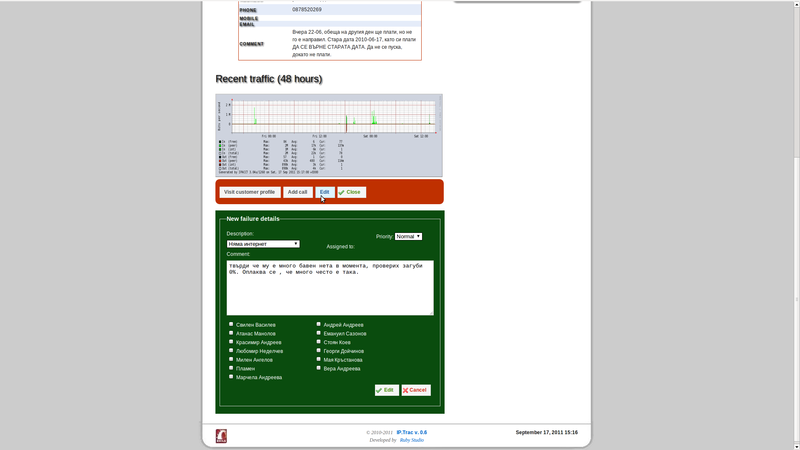 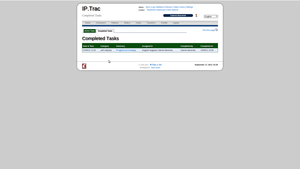 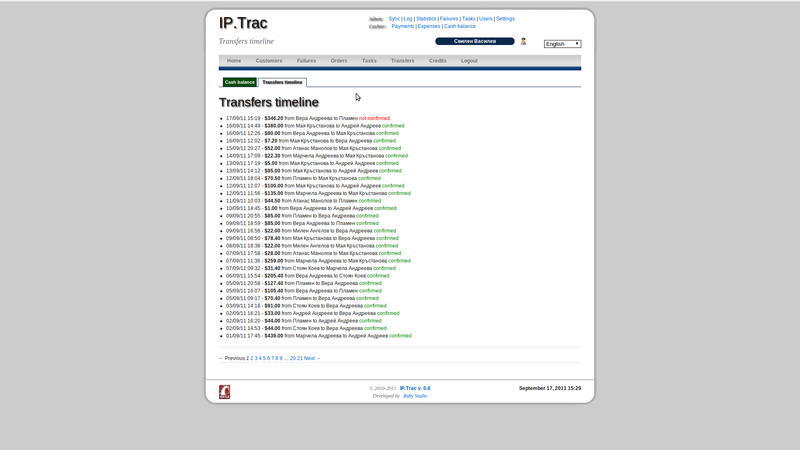 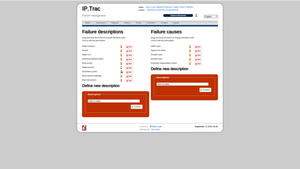 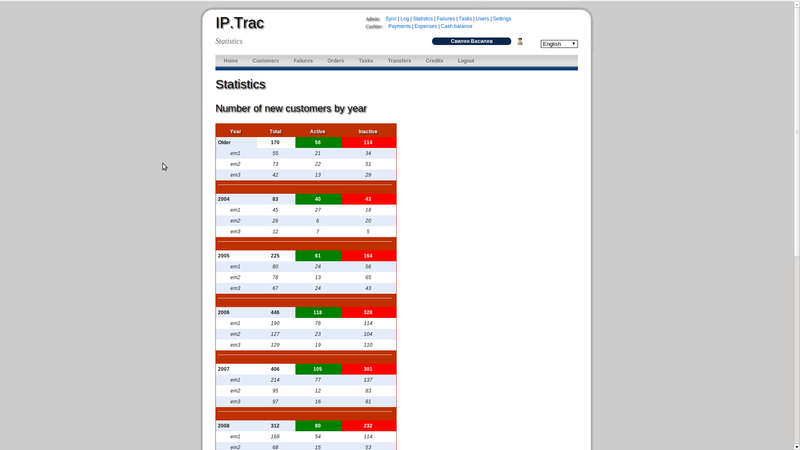 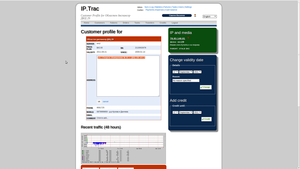 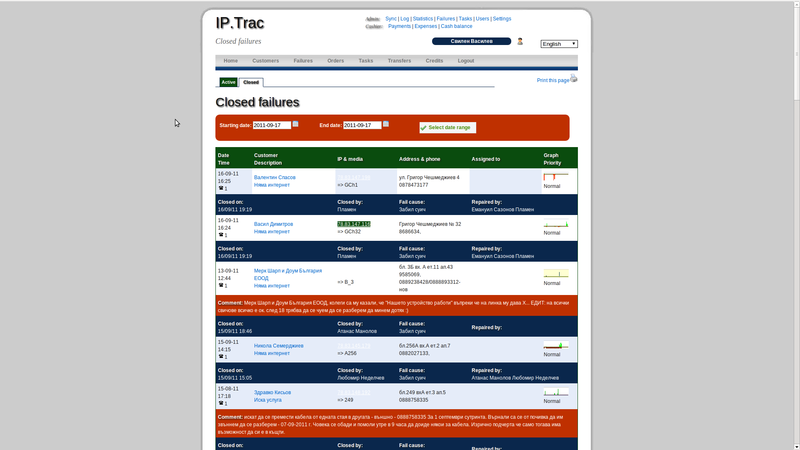 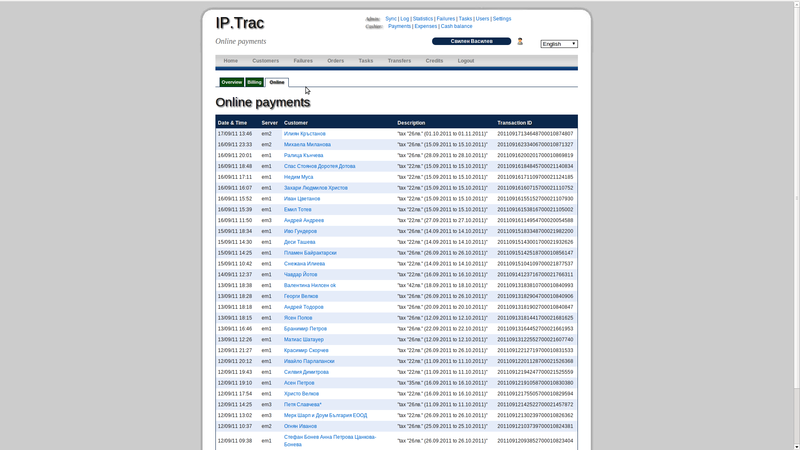 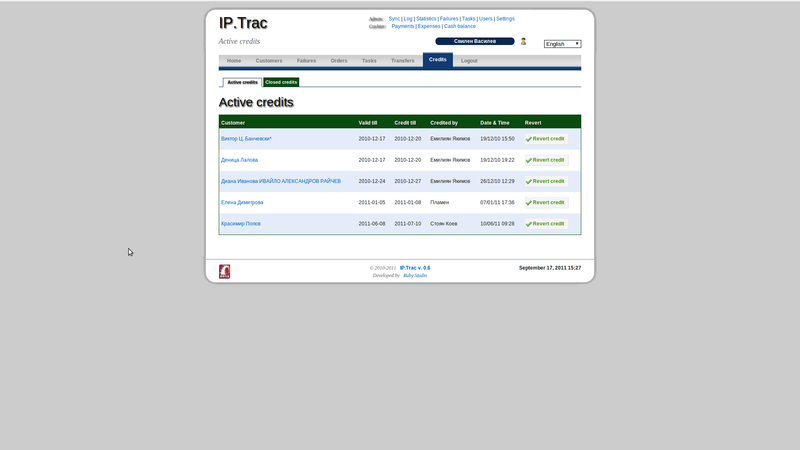 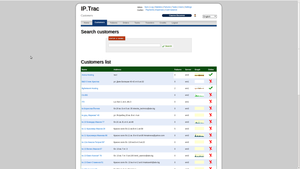 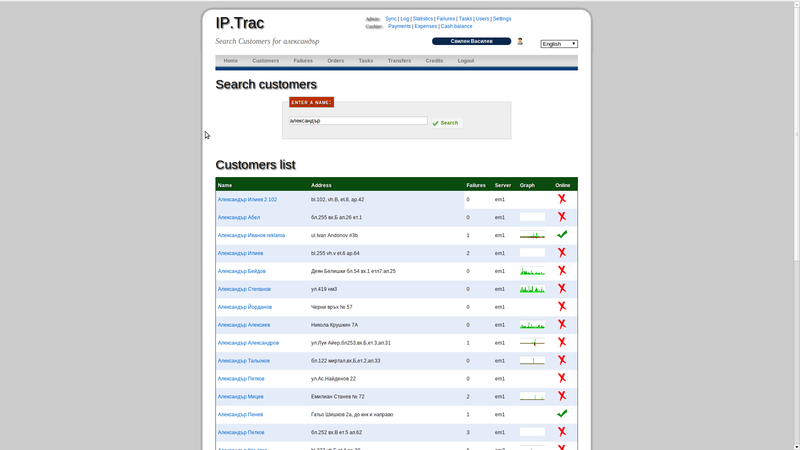 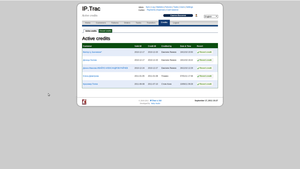 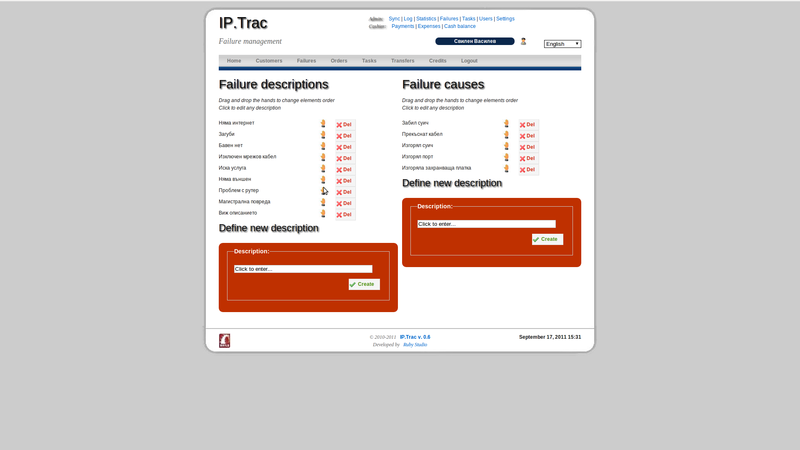 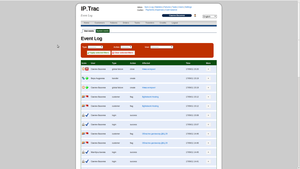 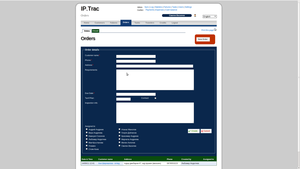 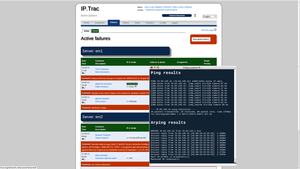 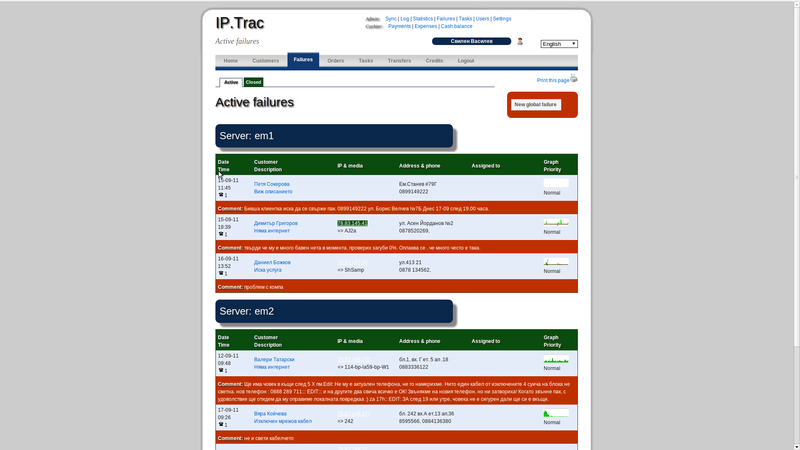 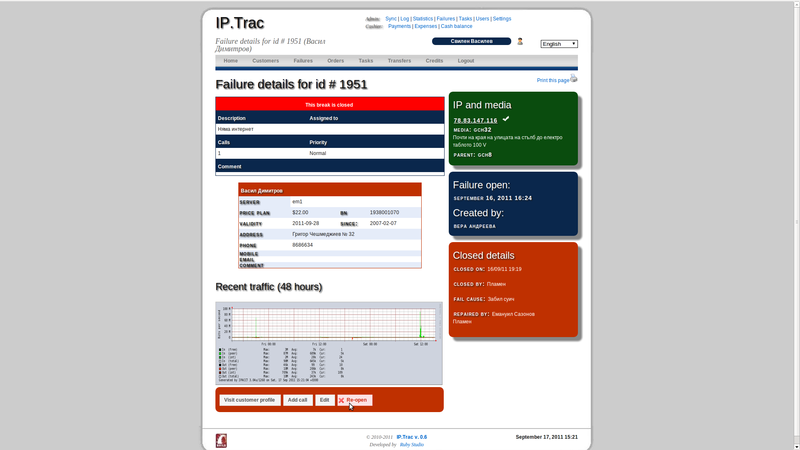 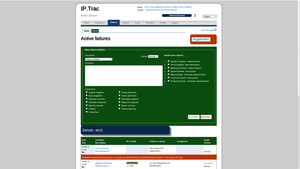 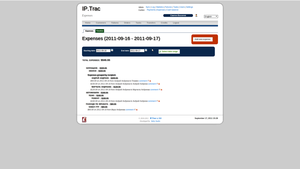 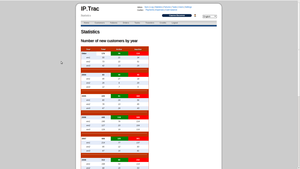 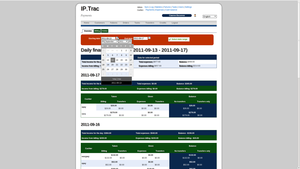 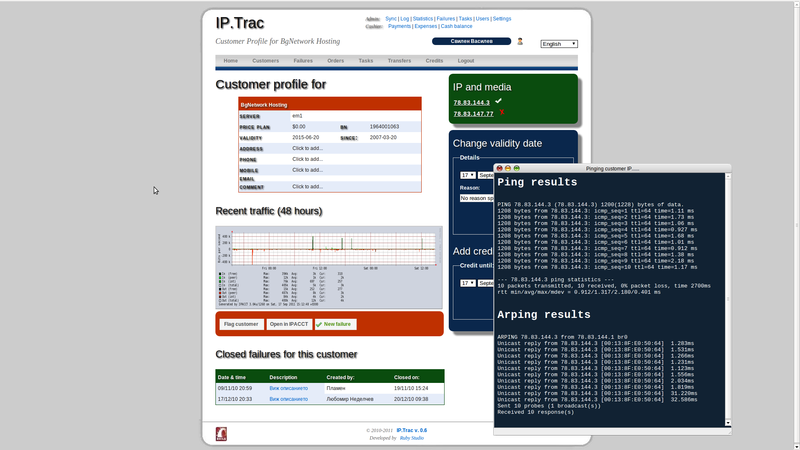 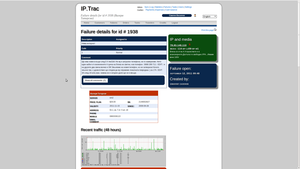 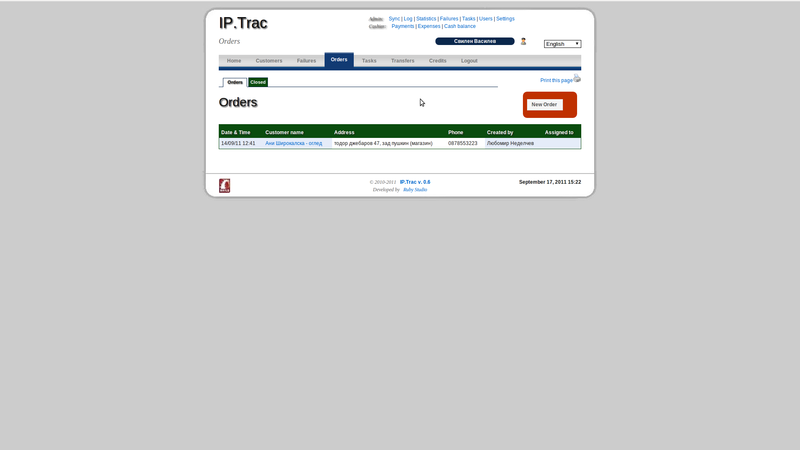 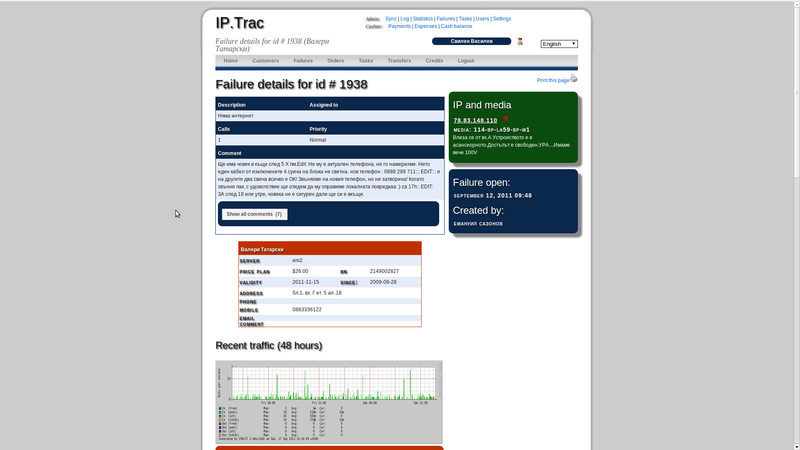 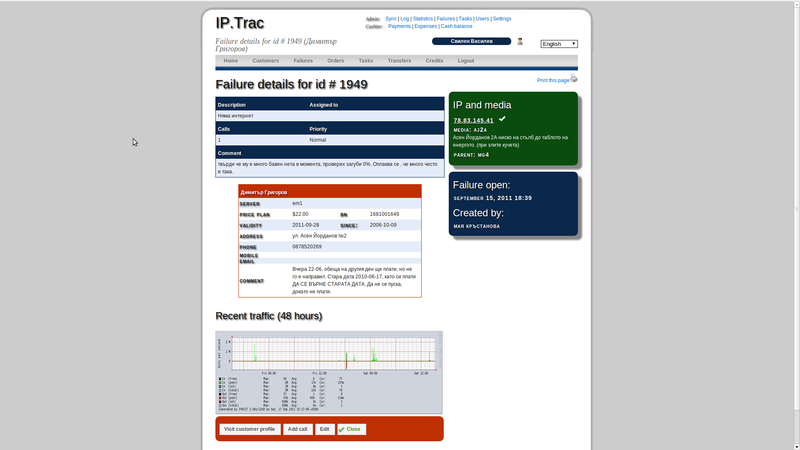 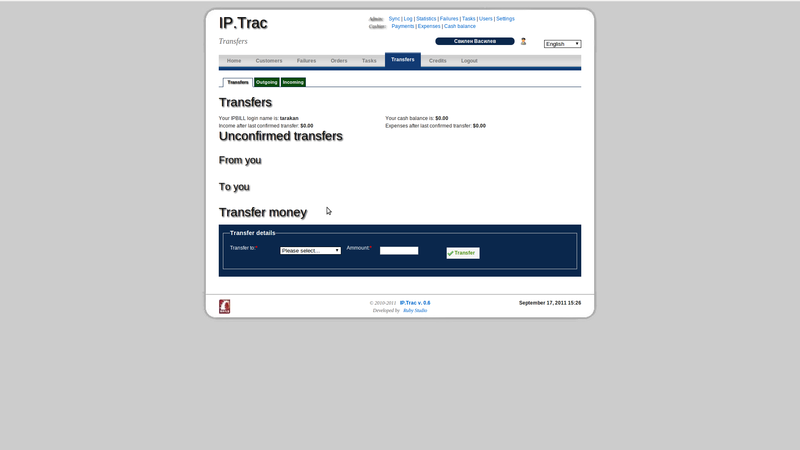 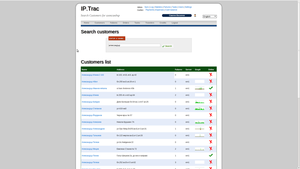 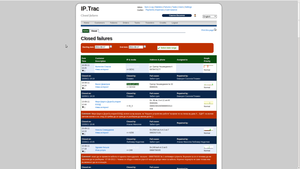 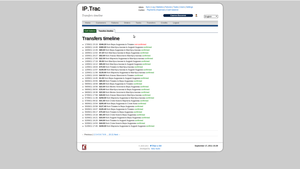 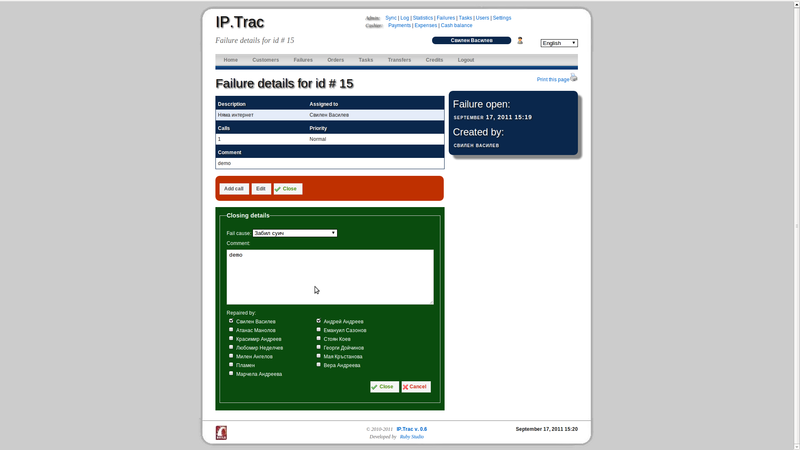 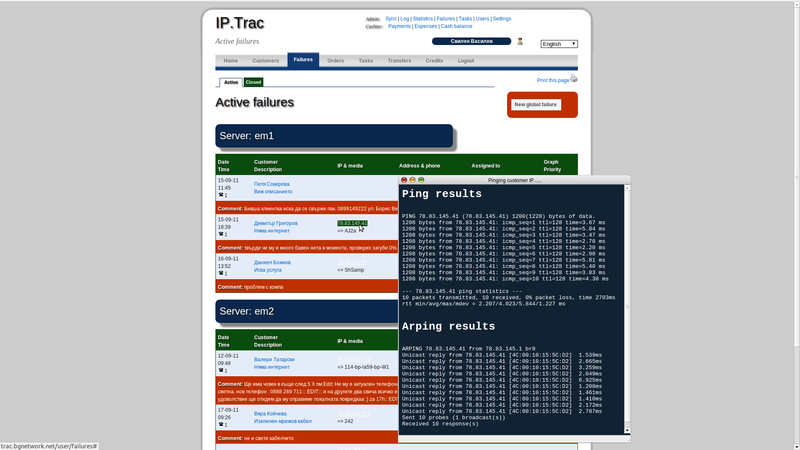 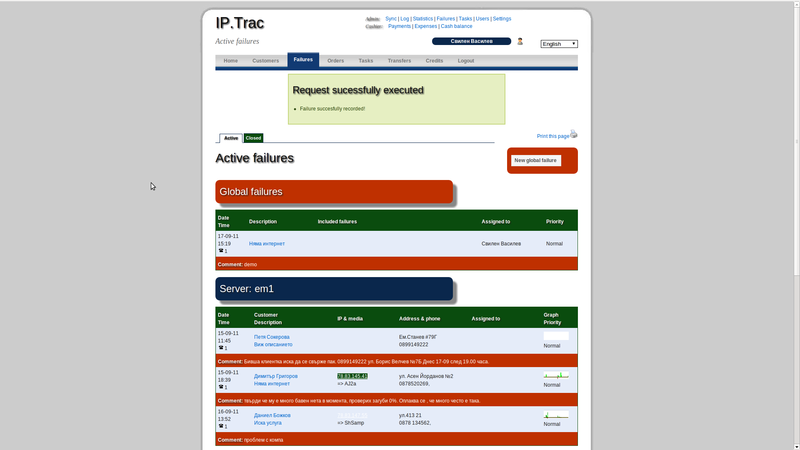 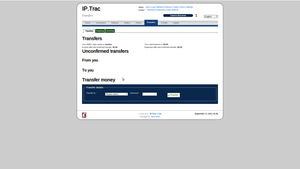 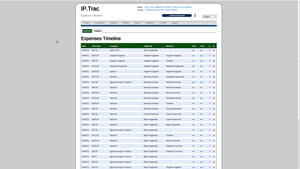 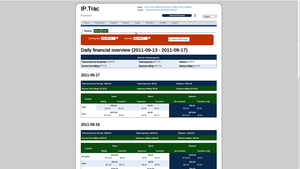 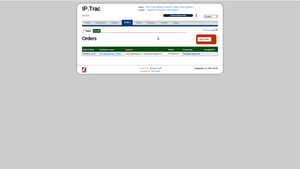 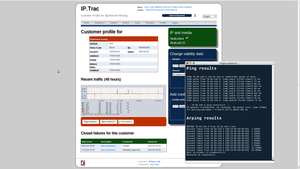 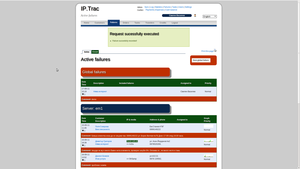 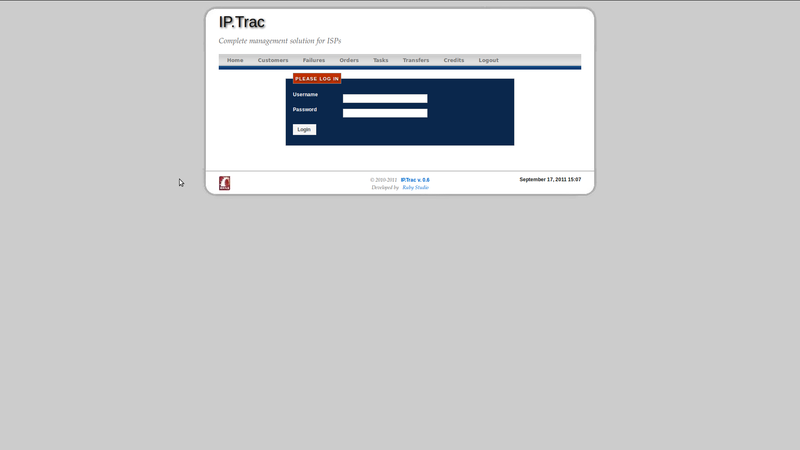 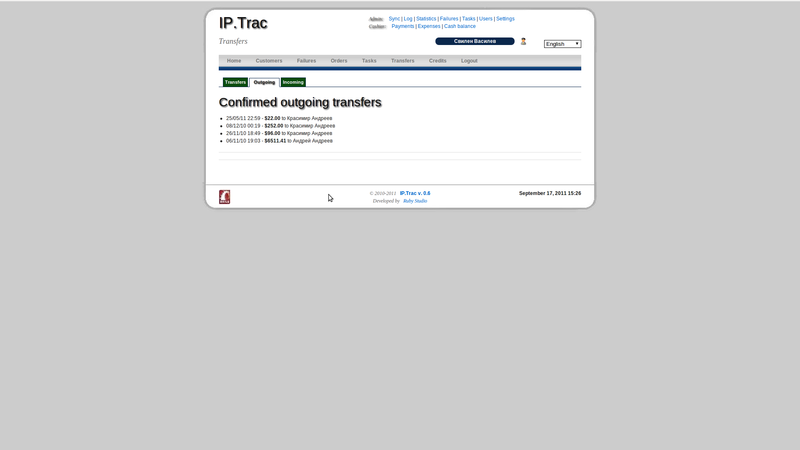 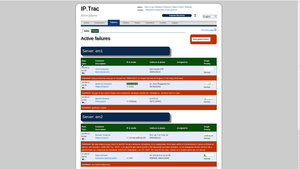 IPTRAC is under constant development. 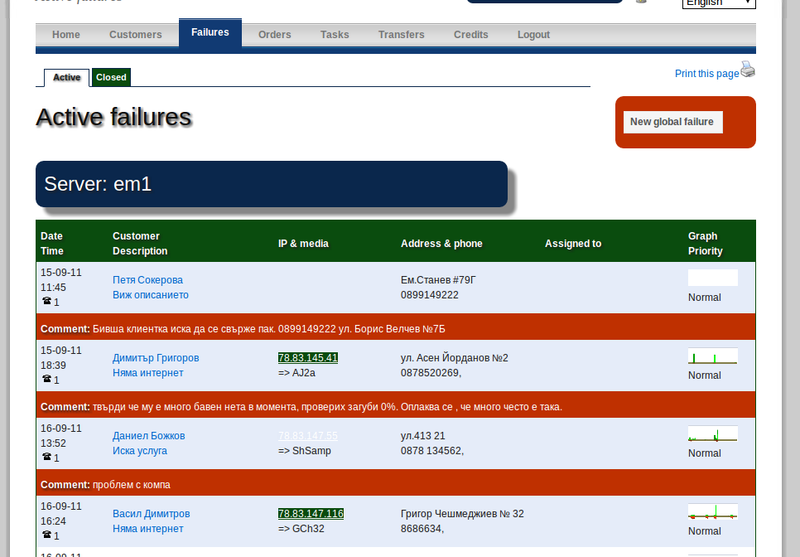 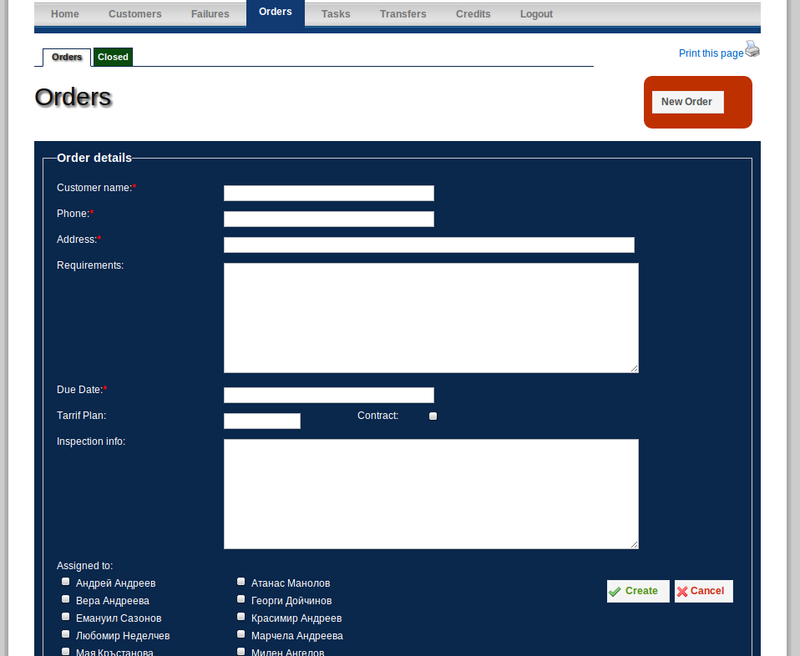 New features are being added and existing features are altered depending on customer requirements and feedback. 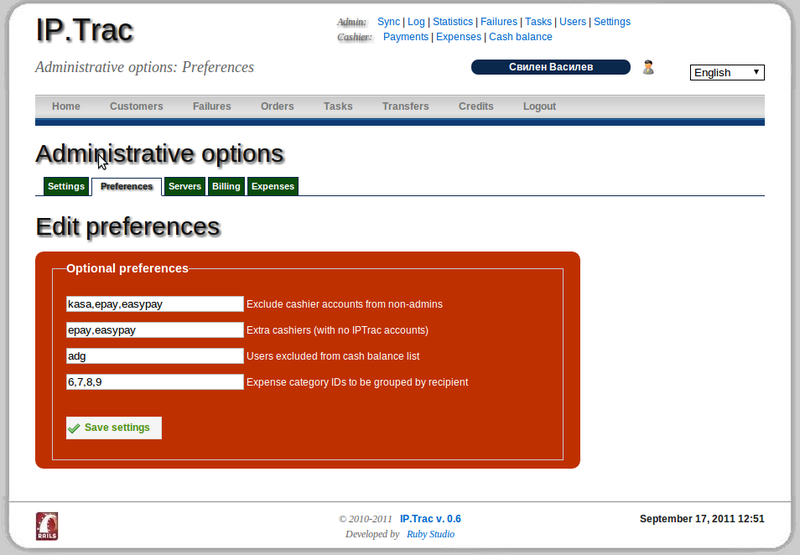 Development and implementation of unique custom features is possible on individual customer basis. 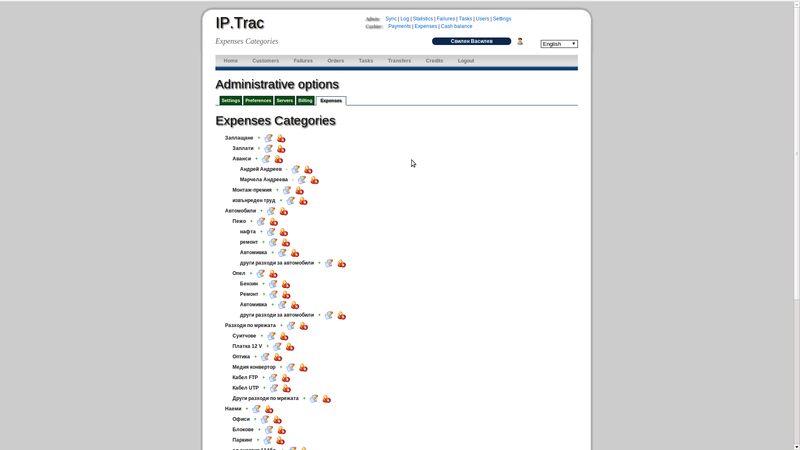 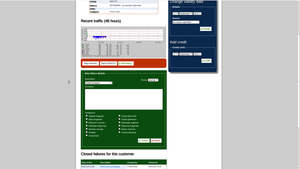 Clean UI to add or remove IPACCT servers on the fly. 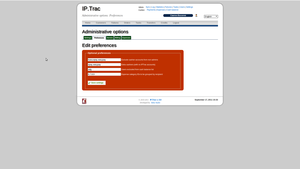 Any number of servers and any database encodings are acceptible. 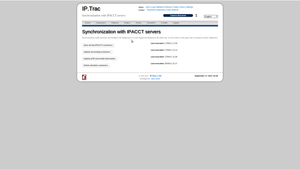 IP.Trac will continously sync the data for your customers, media and income to its database and write the changes you make in IP.Trac back to your servers, properly converting encoding in the background. 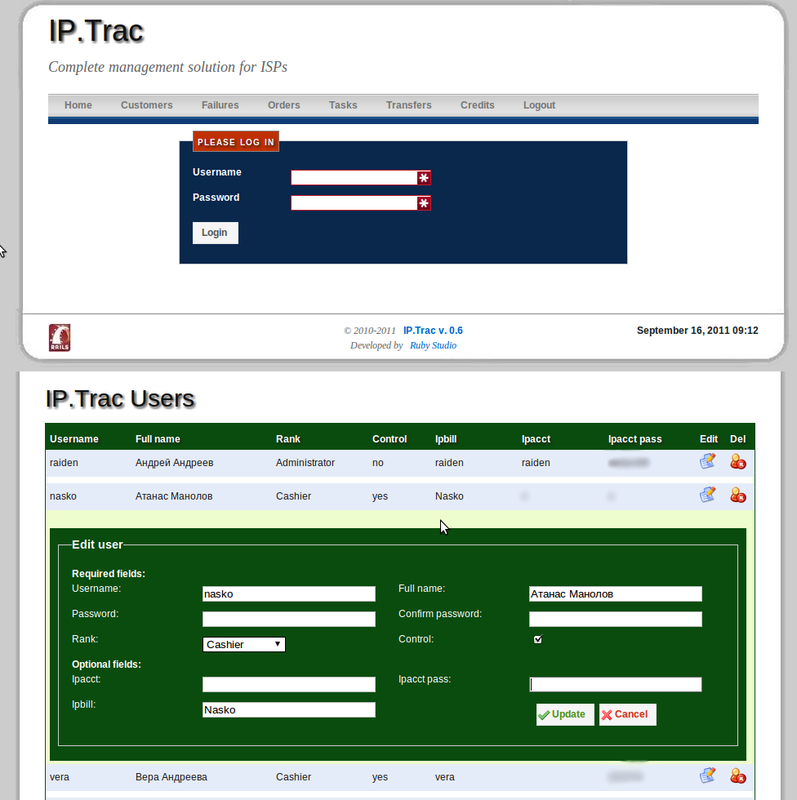 Create and manage user accounts for your employees, utilizing 3 levels of access and permissions: Administrator, Cashier, User/Technician. 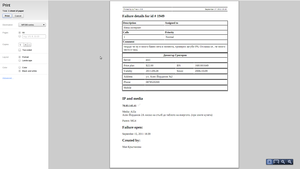 UI for easily adding, editing and deleting users, including the ability to restore a deleted user, reinstating the full history of his actions and statistics. 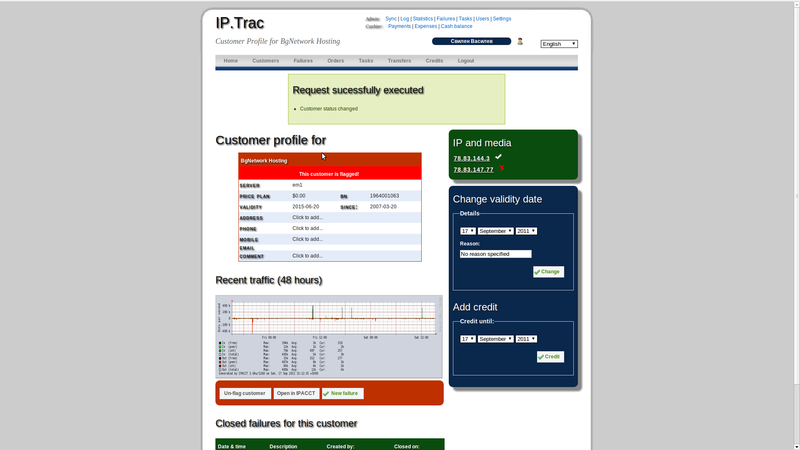 Create, track, assign, prioritize and resolve customer issues. 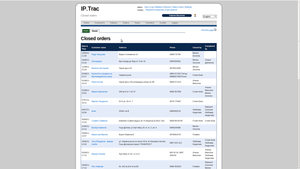 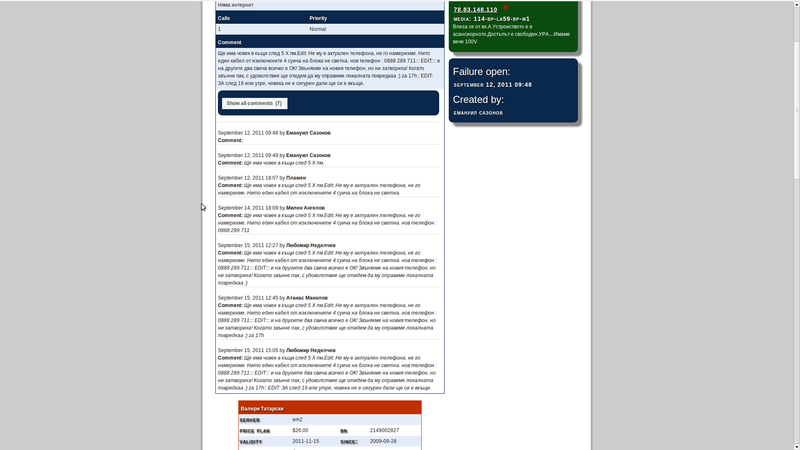 Intuitive overview of the currently open tickets, sorted by server or priority, full list of changes and edits for a particular issue, listing of all resolved issues, listing of issues per customer. 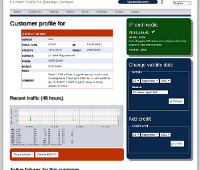 Create global issues that are not linked to a customer but affect a larger segment of the network and can include individual customer issues as child elements. 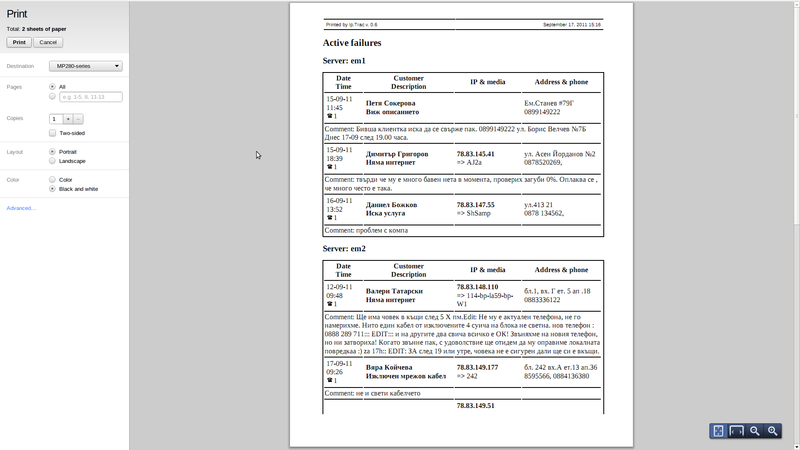 Clean print versions of the issue lisings or individual tickets. 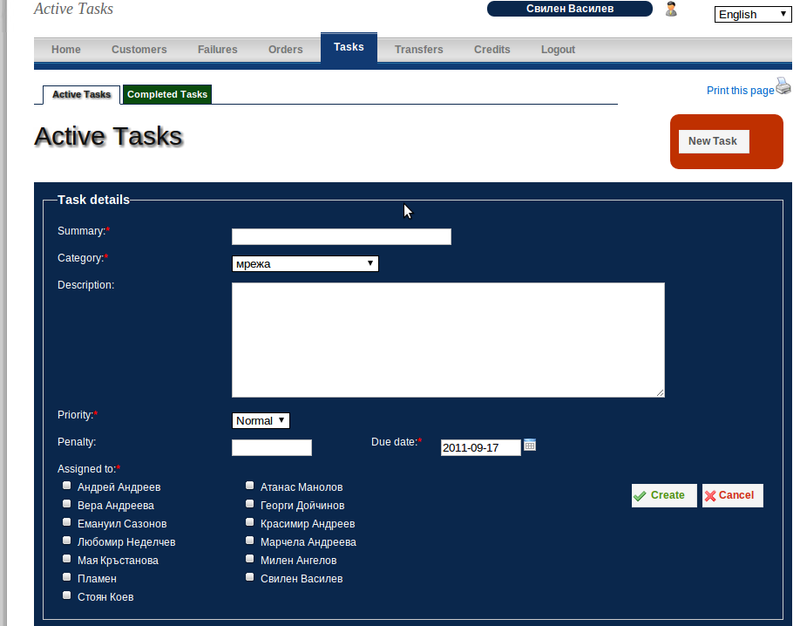 Ajax interface for easily managing and rearranging issue categories and reasons. 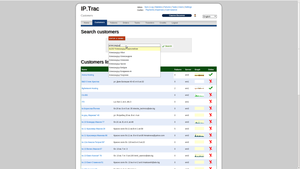 Search and find any customer regardless of server, sort customers by different criteria and access and edit their customer profiles. 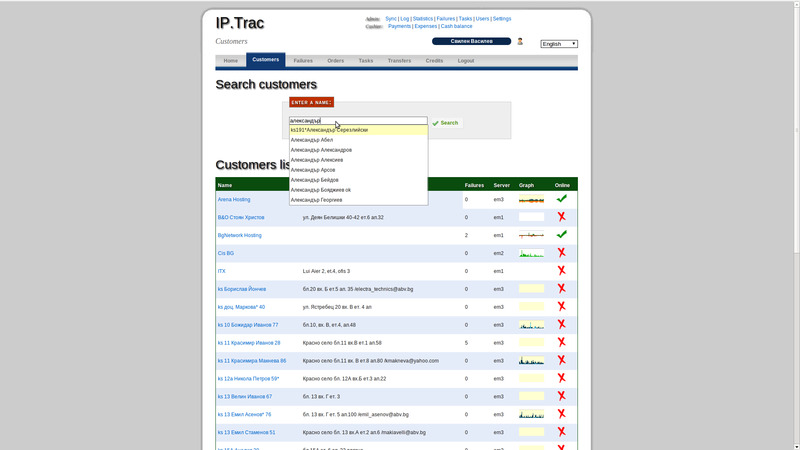 The customer profile provides you the following functionality: view and easily edit any customer data (name, email, address, phone, etc) by just clicking the relevant field. 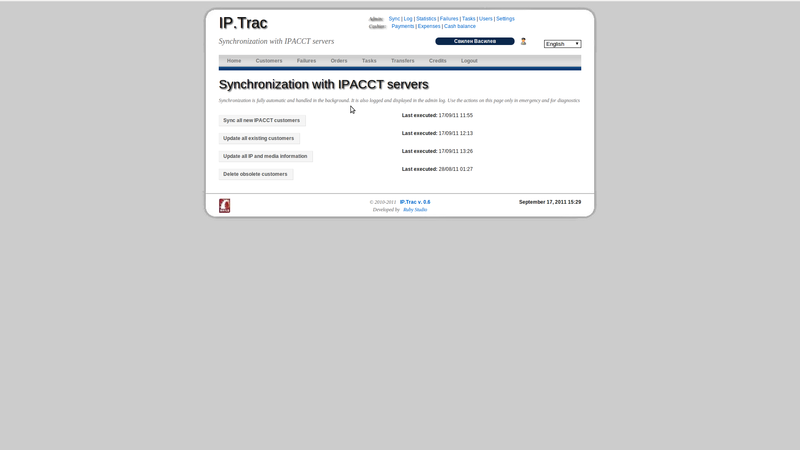 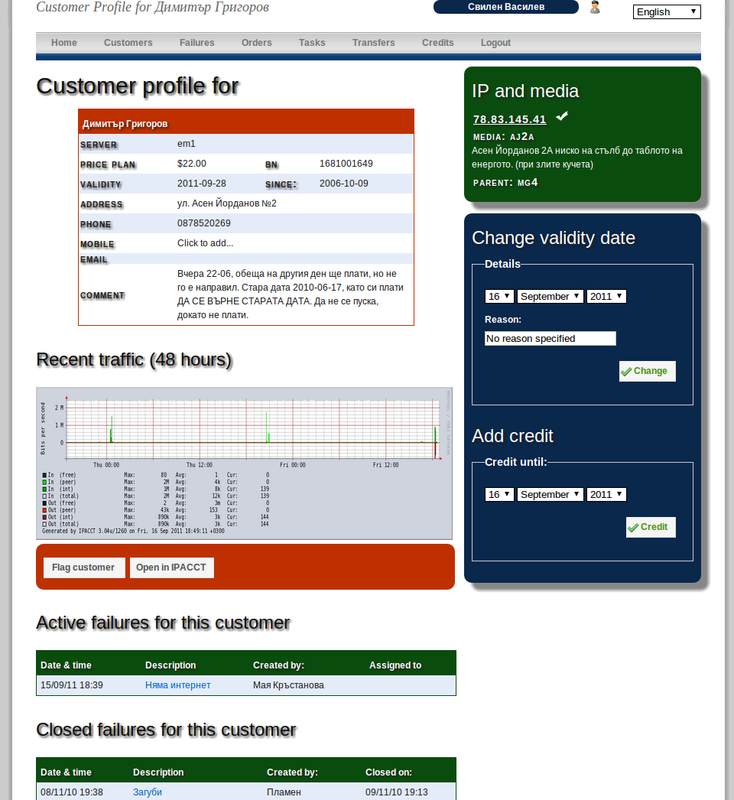 Your changes will be immediately synced back to ipacct; look at the customer traphic graph, open a new issue ticket, view a list of previous issues with that customer, view IP and media information and send a ping and arping to the customer with a single click via a secure SSH tunnel to the ipacct server; add a credit to the customer's prepaid time or instantly change his date of validity. 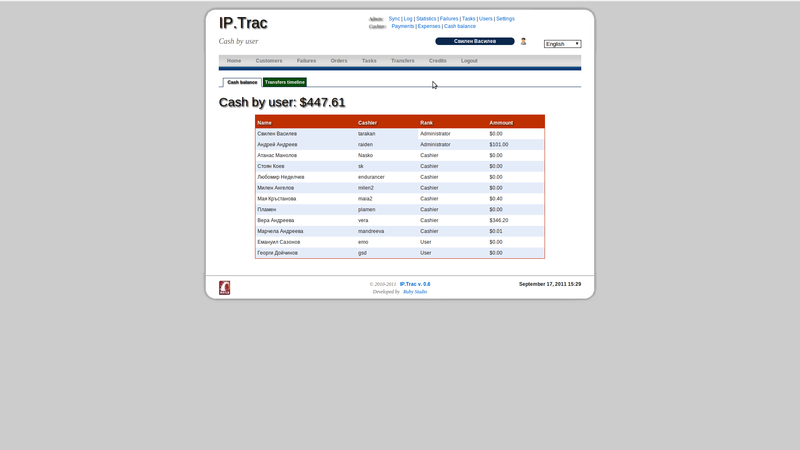 Open the customer's IPACCT page with a single click, even if you're not logged into IPACCT: this will automatically log you in the background with your ipacct crendentials. 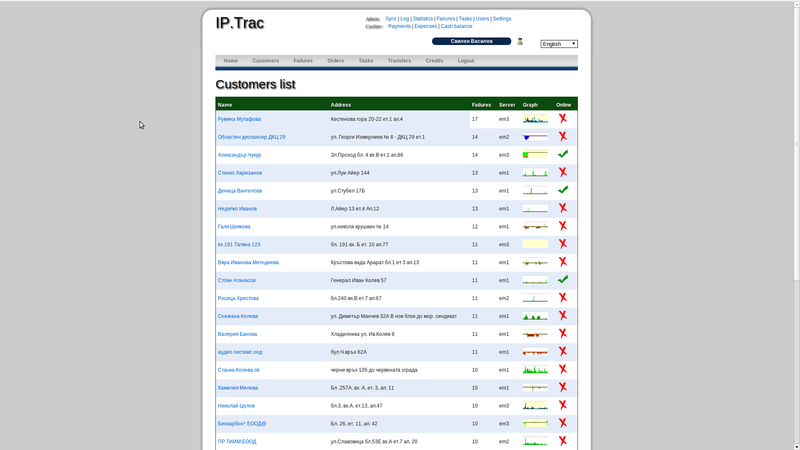 All actions are logged in detail and all actions can be restricted by user ranks for your employees. 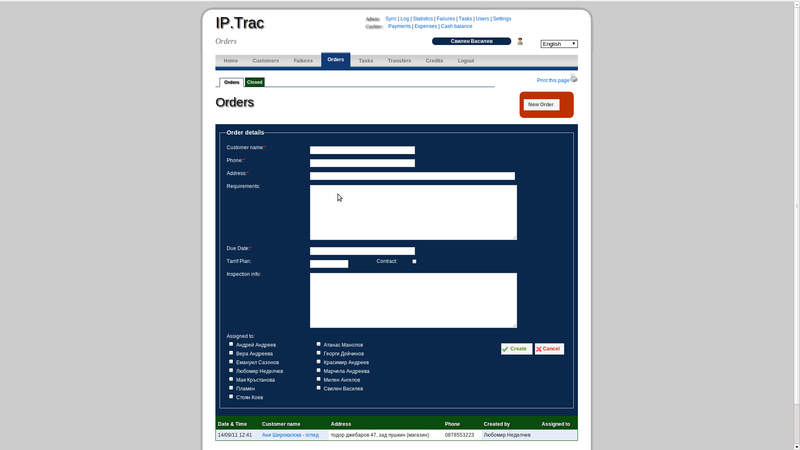 Record, track, assign, print and close orders from new customers. 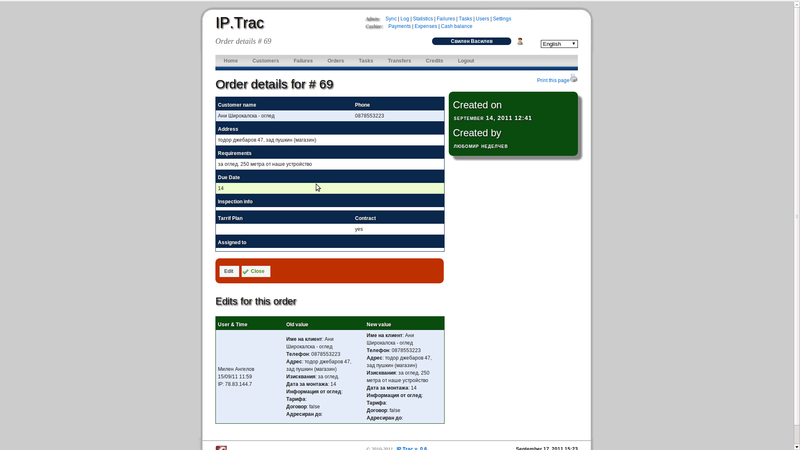 API to integrate the orders module with your corporate website to allow potential new customers to sumbit orders directly from your website. Delegate, reassign, edit, print and close tasks for your employees. 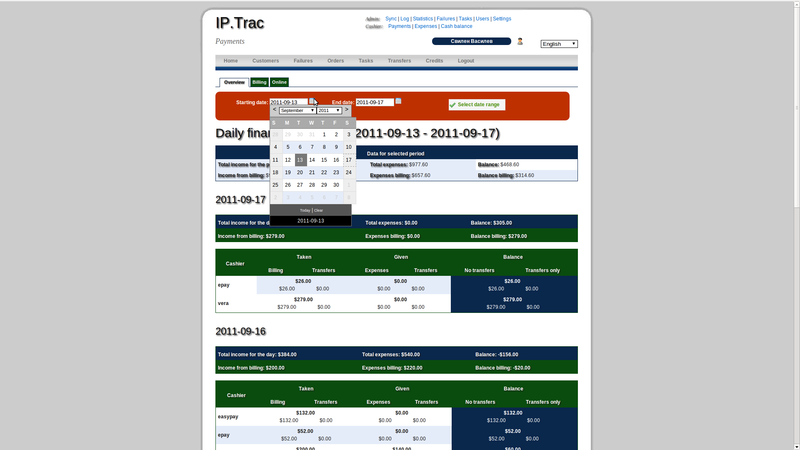 Set deadlines, impose penalties, set priorities, group tasks into categories. Overview of the company's payments and income: date by date or over an arbitrary period of time, breakdown of income from billing and online payments, breakdown of payments received by individual cashiers, balance calculation on daily basis or for an arbitrary time period, tracking of cash flow and transfers within the company (between individual cashiers or administrators). 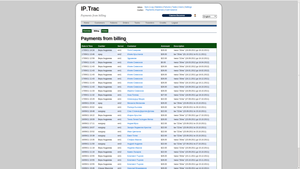 Reverse chronological listings of all billing or online payment movements. 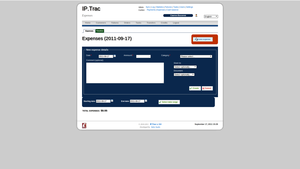 Interface for describing, tracking and calculating all the company's expenses. 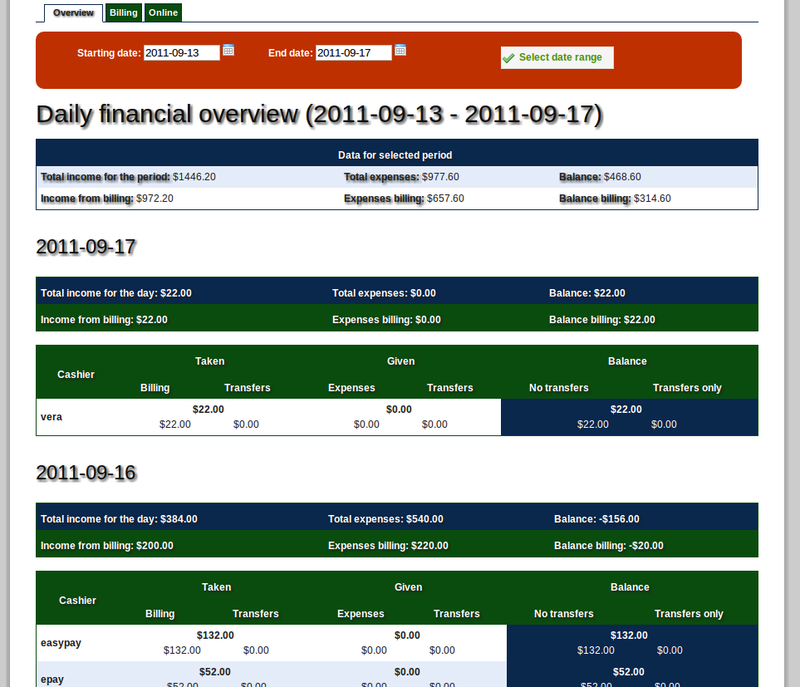 Group expenses into custom categories; choose between 2 levels of access and visibility: exepenses visible to all cashiers or to admins only, calculate the balance and profitability reports for your company by matching the income and expenses for individual days or arbitrary time periods; separate reports and acess options for cashiers and administrators, depending on how much of the big financial picture you want to expose to your employees. 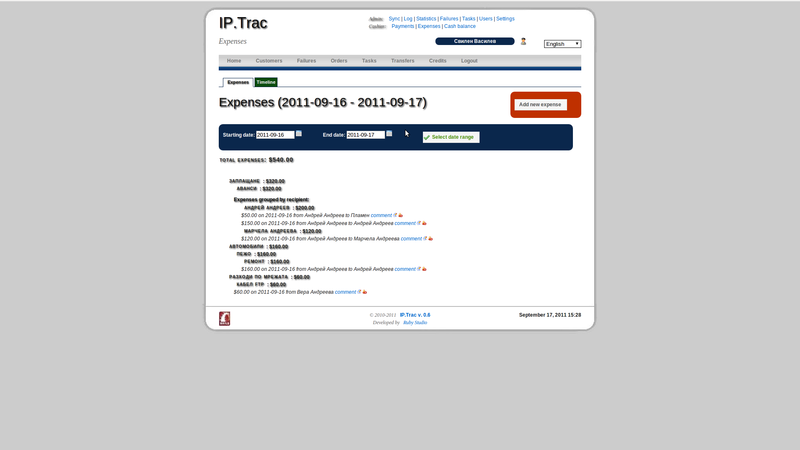 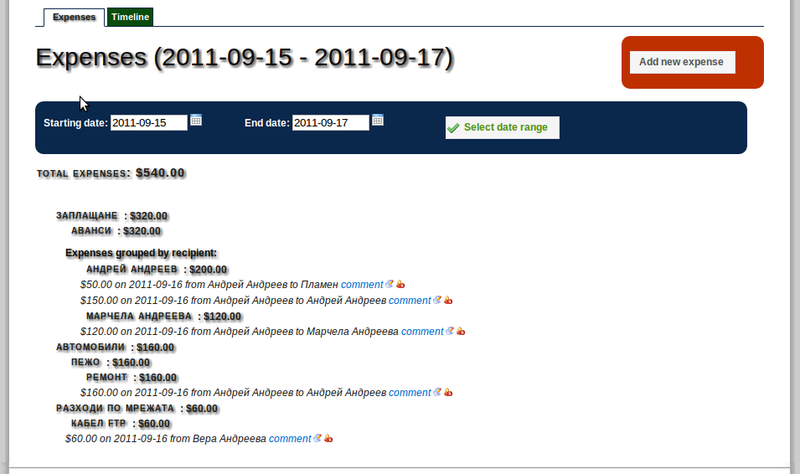 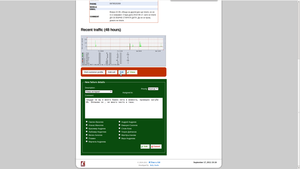 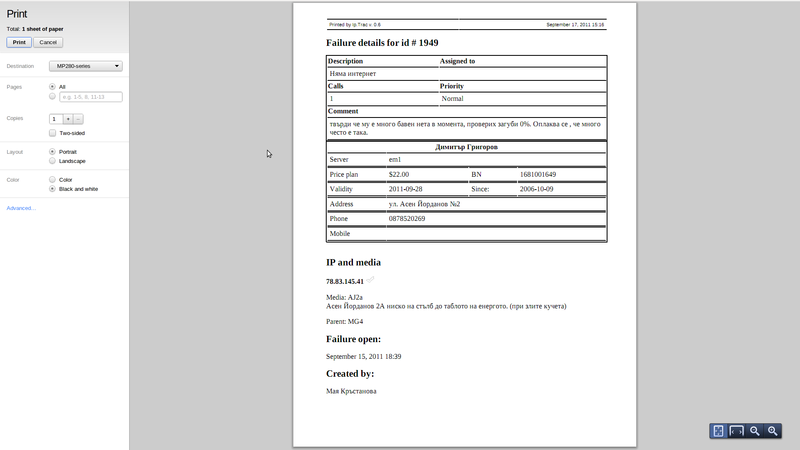 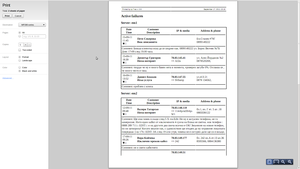 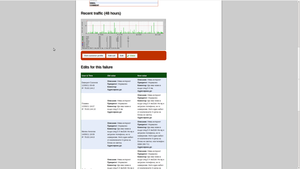 Timeline listings of all expenses, including the ability to edit and delete individual records. 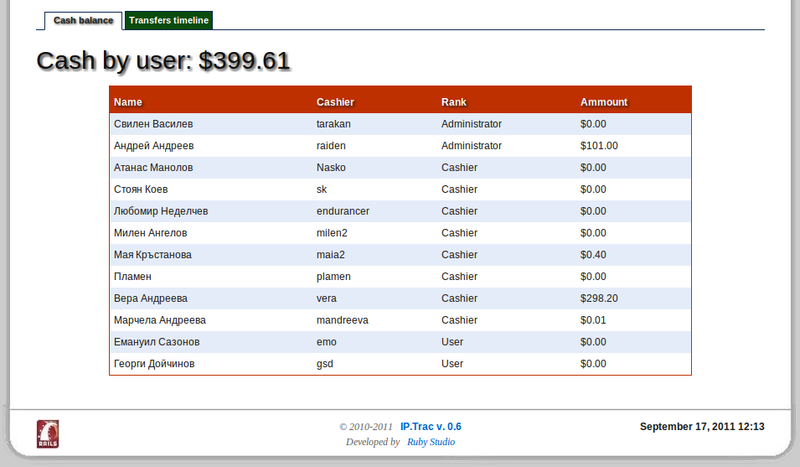 Quick overview of the current cash balance for all your cashiers and employees; ability to transfer cash ammounts internally within the company among your cashiers and administrators; transfers can be edited, reverted, cancelled, accepted or rejected by the recipient and all movements are thouroughly logged. 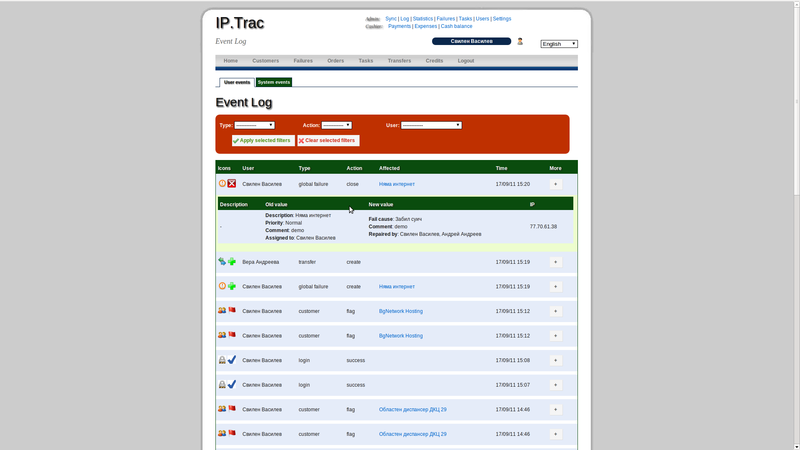 All user and system actions are logged in complete detail, including the date and time, name and IP address, user agent and all relevant action details. Never lose track of who did what and when, preserve the ability to easily notice and ammend any mishaps or errors your employees might do. 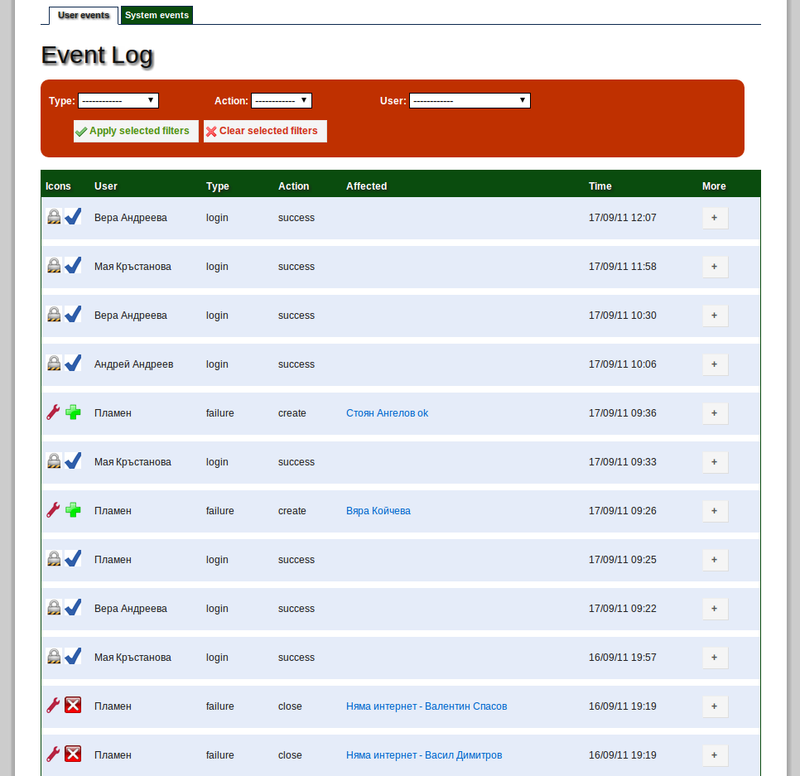 The actions in the log can be filtered against a number of criteria, to help you locate exactly the action you're looking for. 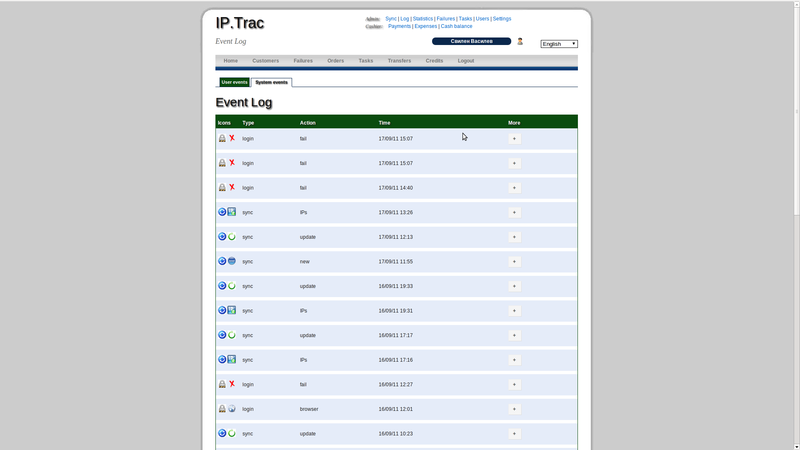 The log data is also available as an RSS feed so you can stay in the loop of your company's activity wherever you go, on with any RSS reader on your desktop, laptop or mobile device. 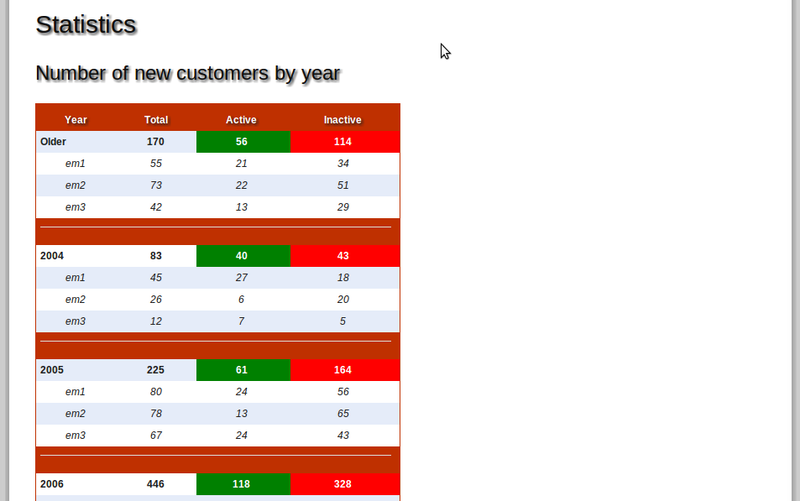 Analyze your company's performance and trends with a set of dynamically generated statistical data. 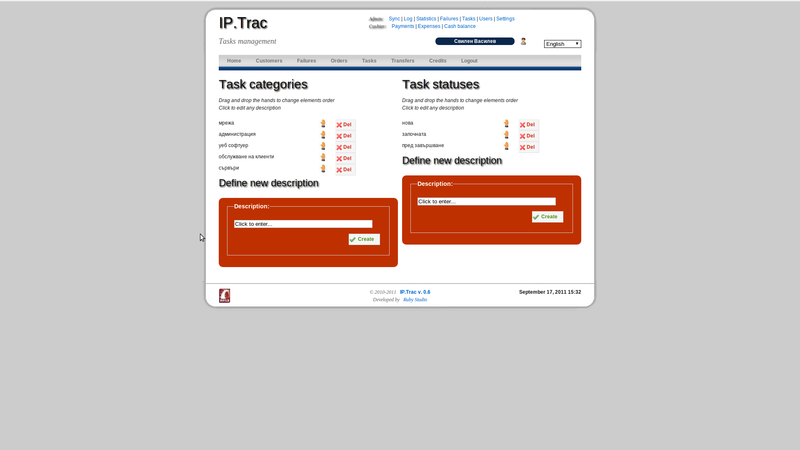 Customize the behaviour of IPTRAC via the settings and preferences interface, get the application easily localized in your native language and proper time, date and currency formats, by using our easily editable language packs; change the visual appearance and colors by customizing our CSS-based theme; enjoy our fast and untuitive Ajax interface, fully HTML5 and CSS3 compatible with prototype and jquery libraries in the background. 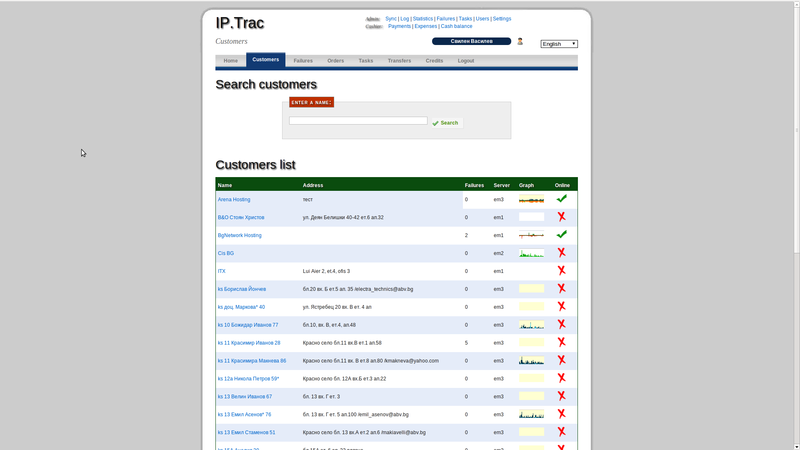 For a full list and detailed explanation of all features, application screens and settings, browse the chapters of our User Guide on the right. 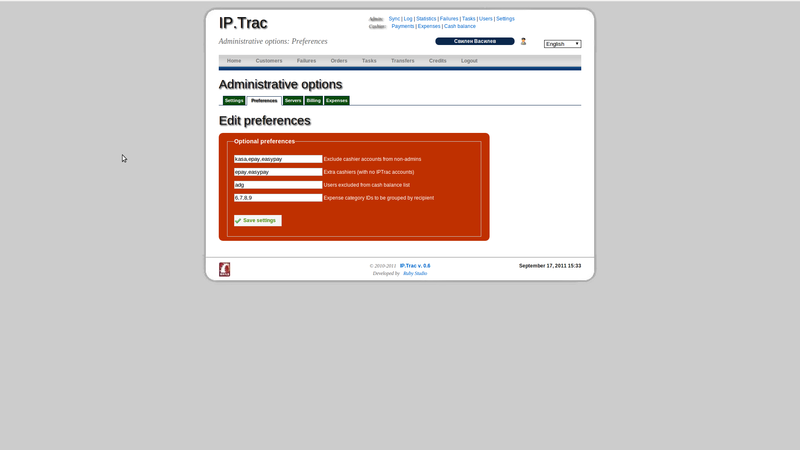 Regardless of which option you pick, as long as you maintain an active subscription you will always be running the latest stable version of IPTRAC, receive all feature updates and bug fixes, get full customer support and the ability to request new features and individual customizations. 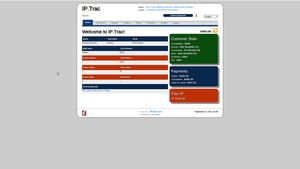 Discounts are available for 6-month and 12-month subscription plans. 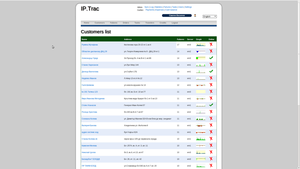 All new customers receive 1 month fully functional trial period FOR FREE!